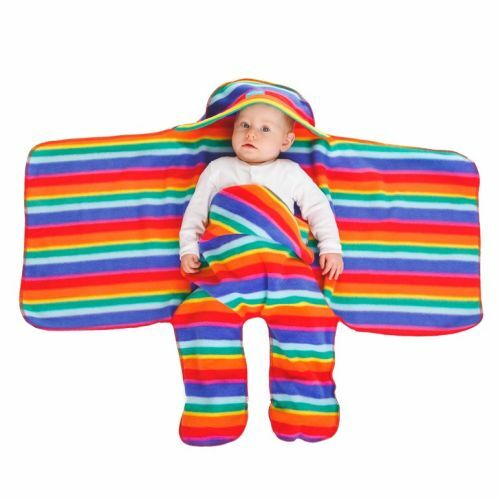 Bright Rainbow Stripe Nod Pod baby blanket with legs. This fun colourful rainbow stripe blanket would make a perfect baby gift for any parents who like fun colours for their little ones. The Nod Pod baby blanket is ideal to be used as a car seat baby blanket or in the pram or sling. It keeps those little feet and legs nice and cosy without worrying about it falling off onto the floor.